The House of Plantagenet was a royal dynasty that came to prominence in the Middle Ages. There were four distinct Royal Houses: Angevins, Plantagenet, Lancaster and York. Geoffrey V of Anjou founded the dynasty through his marriage to Matilda, the daughter of Henry I of England. From the accession of their son, Henry II, a long line of 14 Plantagenet kings ruled England, until Richard III's death. Henry II accumulated vast holdings with his marriage to Eleanor of Aquitaine, which extended from the Pyrenees to Ireland and the border of Scotland and was later called the Angevin Empire. The Plantagenet name for the dynasty dates from the 15th century and comes from a 12th-century nickname of Geoffrey. Success of Plantagenet’s came from martial prowess, and many were renowned warrior leaders such as Richard the Lionheart and King Henry V. No royal dynasty was as successful in passing the crown to a succeeding generation as the Plantagenet’s who ruled from 1189 to 1377. In 1399 the splintering of the dynasty into competing cadet branches, the House of York and House of Lancaster, combined with economic and social decline due to the Hundred Years War with France, led to internal strife in England later named the Wars of the Roses. These events culminated in 1485 with the death of Richard III, the last Plantagenet king, at the Battle of Bosworth Field. The House of Lancaster was a cadet branch of the royal House of Plantagenet. It was one of the opposing factions involved in the Wars of the Roses, an intermittent dynastic struggle which affected England and Wales during the 15th century. The family provided England with three kings: Henry IV of England, who ruled 1399–1413; Henry V of England, who ruled 1413–1422; and Henry VI of England and France, who ruled 1422–1461 and 1470–1471. 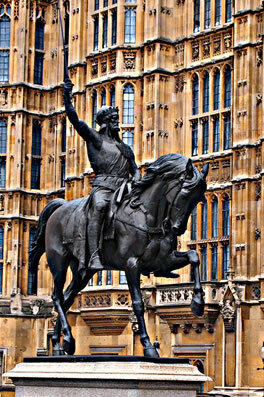 Richard I (8 September 1157 – 6 April 1199) was King of England from 6 July 1189 until his death. He also ruled as Duke of Normandy (as Richard IV), Duke of Aquitaine, Duke of Gascony, Lord of Cyprus, Count of Anjou, Count of Maine, Count of Nantes, and Overlord of Brittany at various times during the same period. He was known as Richard Cœur de Lion, or Richard the Lionheart. By the age of sixteen, Richard the Lionheart had taken command of his own army, putting down rebellions in Poitou against his father, King Henry II. Richard was a central Christian commander during the Third Crusade, leading the campaign after the departure of Philip II of France and scoring considerable victories against his Muslim counterpart, Saladin, although he did not reconquer Jerusalem. Richard spent very little time in England and lived in his Duchy of Aquitaine and is an enduring iconic figure in both England and France. 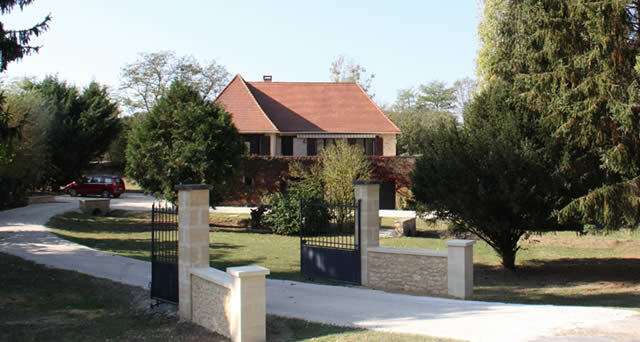 The owners of Plantagenet Manor also rent out their other property in the Dordogne. A beautifully renovated 6 bedroom, 3 bathroom house with a pool, sauna, gym and games room on acerage near the River Dordogne and many castles and chateau, only 2 Klm from Saint Cyprien, close to many great resturants and very close to Sarlat.